When you think about it, the lobby is a very important part of the temple. The lobby is the introduction, or the entrance into Krishna’s spiritual world. This place is often where people get their first impression of Krishna consciousness, as they say, first impressions have a lasting effect. So the devotees who first meet new people in the lobby, they are lobbyists for Krishna and Srila Prabhupada. Jayananda was a great lobbyist for Krishna and His parts and parcels. The lobby was one of his favorite places to meet guests with a maha tray when they came in. Jayananda was always distributing maha and making guests feel good and telling them about Krishna, often in the lobby. He truly enjoyed giving prasadam to others, more than taking it himself. us a Sunday feast ticket. We later came to the temple for the Sunday feast. spiritual to all persons, color wasn’t a distinction. Most of them had a bag with a strap around their heads, and a hand in this cloth bag, with the hand jiggling it up and down. It impressed me as something very spiritual though I didn’t know what it was. I remember I had a ridiculous thought that maybe they had tired arms, due to some spiritual practice, and used this sling to support their arm, but I quickly dismissed it as a crazy thought, I didn’t know what to think. Then later we all went into the temple, and WOW, the color, the incense, the flowers, and the Deities and chanting, the good vibrations, it was out of this world. around the hot milk. Sipping the hot milk and listening to the reading of Krishna book is such a cherished memory, now that I remember it. I remember one night my godbrother Ganga-narayana was reading a Krishna pastime about Krishna and His cowherd boyfriends. Ganga finished the page and commented, “I love it when Krishna plays with the boys.” This meant to me that Ganga really relished the sakhya-rasa pastimes of Lord Krishna. impishly, “Yeah, it’s Thanksgiving.” Boy, was it ever a Thanksgiving feast for me, as I was new, and Lankesa loaded me up with lots of maha prasadam. What I didn’t know then, was that every day was Thanksgiving for the devotees. 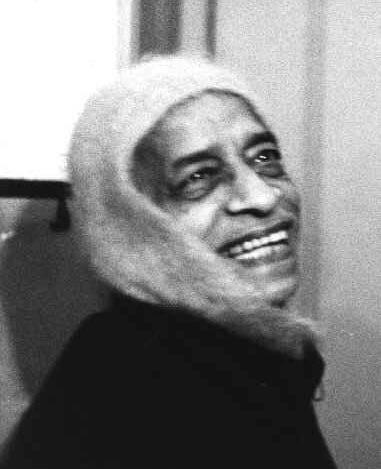 head partially covered by a grayish cloth. His painting made me acutely and ecstatically aware of the topmost state of Srila Prabhupada’s prema, his unparalleled love for Lord Krishna. The lobby was the scene where Bhakta dasa told me of my great fortune, by Krishna’s mercy, to get the privilege of going on a long trip with Jayananda, on an incense run to Salt Lake city Utah. I remember the visual situation of the lobby when Bhaka dasa gave me this benediction, and the premonitions and feelings of spiritual expectation of what was to happen soon. All glories to the famous lobby of the San Francisco temple, and all the memories of Jayananda and his exalted service of being Krishna’s great lobbyist in Lord Caitanya’s sankirtan movement.